Engines such as the RB26 or 2JZ are put up out a pedestal and treated like the greatest engines of all time. They’re praised for being able to withstand insane amounts of power without exploding, but there is another turbocharged inline-6 which rivals the performance of those two engines and that’s the BMW N54. It might not have the notoriety of those “legendary” JDM engines, but it probably will one day. Until 2006, BMW focused on building naturally aspirated engines. Cars like the M3 were known and loved for their high-revving naturally aspirated engines which made you work hard for the power. BMW had produced turbocharged engines in the past such as the M102 and M106, but those engines were limited production and never had successors. The N54 was BMW’s first mass produced turbocharged engine. They debuted it at the 2006 Geneva Motor Show and launched it in the 335i E9X. The N54 is part of the NG6 BMW engine family. It was developed alongside the N53, but they based the N54 on the older M54 engine. 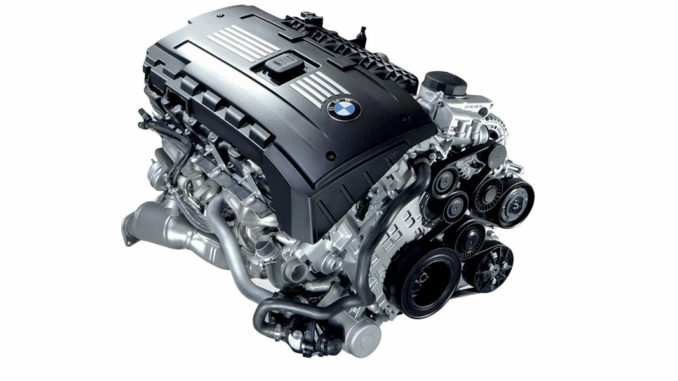 Unlike the N52, N53, and the N55, the N54 does not use BMW’s Valvetronic system; instead it uses BMW’s Dual VANOS system. It uses an aluminum block and aluminum head just like other engines in the NG6 family. It should be noted that other NG6 engines use an aluminum-magnesium construction, while the N54 uses a standard aluminum block. The idea behind the N54 was to produce an engine which was super smooth, offered significantly more torque than previous BMW 6-cylinder engines, and virtually no turbo lag. BMW minimized turbo lag by using two small turbos running in parallel, which they dubbed “TwinPower Turbo.” Ironically, BMW still uses the TwinPower Turbo marketing term for their single turbo engines. Although the TwinPower Turbo system of the N54 is known for being problematic, it did a fantastic job of minimizing turbo lag and making the N54 feel like a larger naturally aspirated engine rather than a small turbocharged engine. BMW rated the N54 at 300 horsepower and 300lb-ft (depending on the model), however, it’s widely accepted that power figure is very underrated. You might think, “Minivans make nearly 300hp, why is the N54 so low on power?” and you’d be right. 300 horsepower is not a huge amount for a twin-turbo 3.0L. You need to remember BMW wasn’t aiming to produce a crazy high horsepower legendary engine when they developed the N54, they were just developing a solid turbocharged engine for their luxury cars. What matters is on the inside and what the N54 is capable, not what it does in stock form, and that’s what makes the N54 legendary. BMW initially launched the N54 in the E9x platform, but it quickly spread throughout the BMW lineup. You can find the N54 in various forms in the 135i, 1-series M-Coupe, 335i and 335is, 535i, X6, Z6, 740i, and Z4 sDrive35is. Inside the N54 you’ll find a forged crankshaft and beefy forged rods. The pistons are cast, but they’re pretty beefy. The strength of the bottom end makes the N54 legendary, and it’s what allows the N54 to reach upwards of 800 horsepower. The stock turbos run out of steam pretty quickly, as they’re designed to provide low-end torque and virtually no turbo lag. Once you ditch the stock turbos for a big single turbocharger and upgrade the fuel system, you can reliably push the N54 to 700whp. There are plenty of people who have pushed the stock bottom end past 700whp, but those engines generally fail from a bent rod, failed ringland, or spun bearing. Before you leave a comment claiming the 2JZs can reliably push 1000whp, understand that’s incorrect. Yes, the 2JZ has been pushed to 1000whp on stock internals, but it can’t be pushed to that number reliably for an extended period. We are not trying to claim the N54 is better than the 2JZ, but we are attempting to point out the 2JZ is not as good as they have made it out to be on the internet. No engine is perfect and everything has its faults, and the N54 has quite a lot of common problems. Most engines drive the water pump with a serpentine belt. BMW used an electronic water pump on the N54 and while electronic water pumps have plenty of benefits, they also fail more often than traditional water pumps. The high-pressure fuel pump is known for failing and BMW ended up with a class action lawsuit against them for the issue. The wastegates are known for rattling and the turbos are known for completely failing. The fuel injectors are also known for being very problematic. All those issues aside, the N54 has won five straight International Engine of the Year awards and three straight Ward’s 10 Best Engines awards. Those awards were issued back when the engine was new and the problems we just mentioned were so common, but it still goes to show how good the N54 really is. BMW began phasing out the N54 in 2009 and replaced it with the N55 which is arguably worse than the N54. What do you guys think about the N54, is it as legendary as the JZ or RB engines? Let us know in the comments below.